Giving it to the folks as an interim while the reno and sort out what they want to do. So during week volume is low. But we regularly entertain / host on weekend and make upwards of 10 coffees, mostly at same time. So ability to make quick coffees (e.g. dual boiler or the right heat exchange i think) is important. I have no idea re options, was looking at a silvia but i think it won't meet the quick coffee requirement. Lelit dual boiler is outside budget of machine + grinder of around $1200-$1300 from what I can see, what other options do I have? You're not going to get a dual boiler better than the BES920 with that budget. I'm not even aware of any other DBs at that price. Even the NS Oscar II (cheaper Hx) is over $1300 on its own (new). If making lots of coffees at once is important and the budget is fixed you'll either have to go second hand or I'd suggest waiting until closer to Christmas or just after and picking up a BES920 for under $800, then get a better grinder than the Breville, which will see a noticeable improvement in the cup. For your budget I'd suggest the Macap M2D V2 micrometric (still a slight stretch). The Combi is a single boiler so won't suit your needs, though from what I hear the stream on the newer units is significantly improved. There's no other machine in that price bracket with those features. An older Sunbeam EM6910 would produce similar results, but nothing else new would be as good as a 920. The PL60T V2 sounds like it would suit you aside from the price. 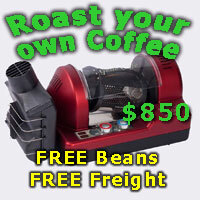 A second hand Profitec Pro 300 is still outside your price range even without a grinder. The Breville is going to be impossible to beat if the budget doesn't change (not to have a go at your budget, I have a 920 myself). Even PL60T is close to or slightly over $2k. You can't beat BES920 for this budget.